As much as we hate to admit it, summer break is coming to an end and soon you’ll be sending the kids back to school or heading back yourself! 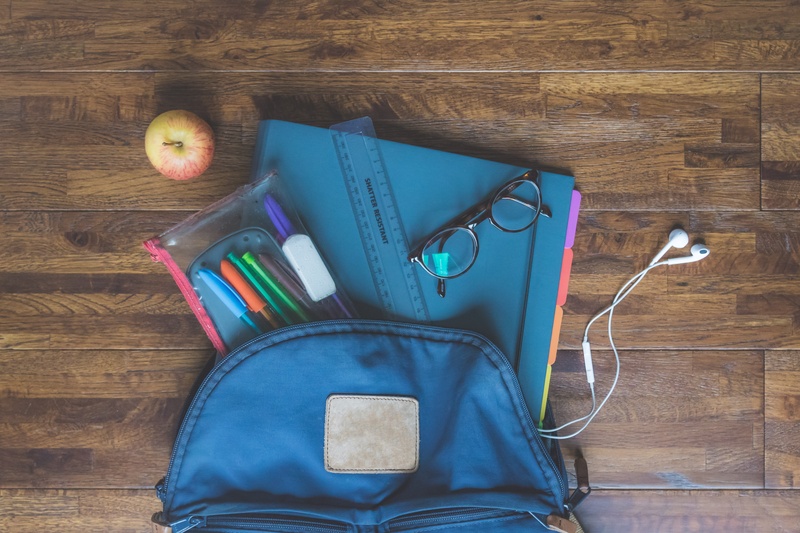 Our Daisy Blue Back to School Guide is a little different, we know it’s important to get the new backpacks, cool kicks, and school supplies, but don’t forget about YOU! Here are our suggestions to make you sure you and your home are ready to take the new school year head on! DB Clean Citrus All Purpose Cleaner - Back to school also brings with it fall, and that means weather changing and fall cleaning. Our cleaner is a concentrated formula using pure vegetable-based cleaners and essential oils to kill off bacteria and tackle dirt & grime in your kitchen and home. Biodegradable, sulfate-free, animal-friendly, and versatile. Natural Laundry Soap - Keep your new school clothes and home fabrics fresh using our environmentally friendly concentrated laundry soap with the cleaning power of coconut & olive based cleansers to remove dirt and odor effectively. A natural refreshing, light citrus scent. Green Face & Body Bar (Tea Tree) - Don't stress back to school, it's nothing to sweat! (See what we did there?) Perfect for oily or combination skin, it works for both the face and body. Naturally-occurring green clay draws out impurities and excess oil production. Tea Tree fights the bacteria that causes breakouts. Balanced to keep the skin moisturized and healthy. Vitamin E Lip Balm - Keep your smackers moisturized! Cruelty-free, flavor-free, and petroleum free! Chapped lips are history! Ditch the ‘stick’ – our lip balms are what your lips crave! Mint 3 Step Foot Foot Set - And last, but certainly not least, don't forget to treat yourself! After a long day on your feet give them a soak, scrub, and moisturize!